Ubisoft’s latest financial results reveal shipment figures for a pair of titles. To begin, Assassin’s Creed IV: Black Flag has shipped 11 million units, combined with digital sales. Just Dance 2014 has also been successful with total shipments coming in at over 6 million copies. The success of Assassin’s Creed 4 Black Flag (more than 11 million sell-in and digital units). Every year, this flagship franchise for the video game industry offers players a highly innovative gaming experience, and generates a steady and very profitable revenue stream.
? A solid performance by Just Dance 2014, with more than 6 million sell-in units. 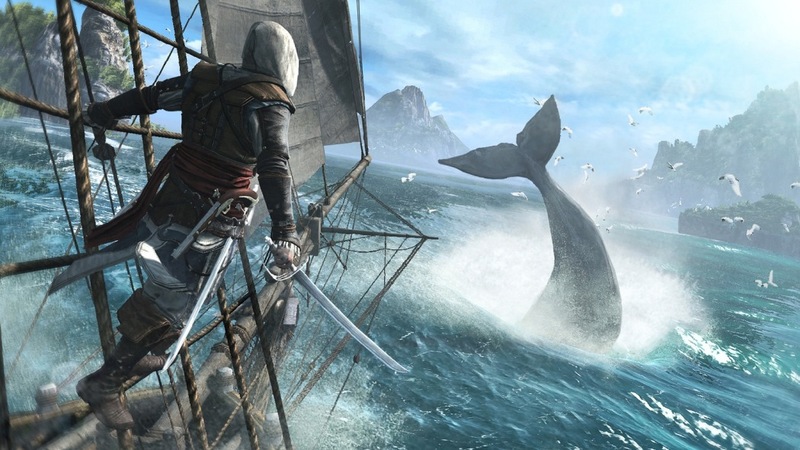 Assassin’s Creed IV: Black Flag has performed well for Ubisoft. Since its release, the game has shipped 10 million copies, the publisher confirmed today in its third quarter 2013 – 2014 report. In other news, the Just Dance franchise shipped 6 million units during the third quarter. Ubisoft says the series’ success demonstrates how it continues to be “the leading casual game brand for consoles”. Assassin’s Creed IV: Black Flag is Best Buy’s “Deal of the Day”. Through today only, you can pick up the game for $30. Shipping is free, though you can also opt for in-store pickup.